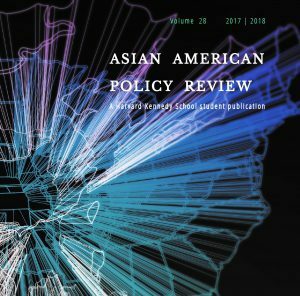 This piece was published in the 28th print volume of the Asian American Policy Review. “Social sustainability concerns how individuals, communities and societies live with each other and set out to achieve the objectives of the development models that they have chosen for themselves, while also taking into account the physical boundaries of their places and planet Earth as a whole.” — Andrea Colantonio, 2010, 81. Since the 1987 Brundtland Commission first coined the term “sustainable development”, many efforts have emerged to refine this definition, raising critical questions of what is to be sustained, by whom, and using what means and measures. From the Triple Bottom Line— defined as people, profit, and planet (Elkington 1997) to the Four Pillars of Sustainability— the environment, culture, economy, and society (Hawkes 2001)— theories of sustainability encompass more than ecological concerns of the Earth’s biophysical and carrying capacity. Despite these theoretical contributions, cities have essentially converged in their strategies of sustainability. From PlaNYC to the Los Angeles Sustainable City pLAn, the policies and terms of “sustainability”, “resilience”, and “livability” have given rise to similar menus of prescribed solutions to target the reduction of carbon emissions and greenhouse gas emissions. When released in 2007, PlaNYC included 127 initiatives that addressed brownfield mediation, housing, open space, transportation, energy, water and air quality, and climate change— all to achieve the city’s stated goal of reducing greenhouse gas emissions 30 percent by 2030 (City of New York 2007). Governments around the world have followed suit by creating sustainability blueprints at the citywide scale, and the United States alone boasts more than 56 sustainability plans (ICLEI 2009). While these policies are a step in the positive direction of symbolizing commitment to sustainability, they are detrimental if pursued without a nuanced analysis. In effect, they endorse a top-down, one-size-fits-all approach to sustainability that exacerbates inequality and more often than admitted, serves the real estate and finance industries (Angotti 2008, 2). In such a paradigm, the state uses environmental strategies as engines of economic growth to re-create the power structure that benefits the elite and privileged classes, creating what Melissa Checker calls “environmental gentrification” (2011, 212). As critics argue, PlaNYC uses technical and highly scientific measures that “fail to resonate with the everyday lives of people in their communities and do not necessarily make any sense in the specific geographies of communities” (Angotti 2008, 8). This approach is likely to cause tensions and result in highly ineffective or failed solutions. Emergent initiatives have demonstrated that an alternative approach is possible. This article examines the case studies of Los Angeles Little Tokyo Cultural Ecodistrict Plan and San Francisco Sustainable Chinatown Plan located in two historically Asian Americans and Pacific Islanders (AAPI) immigrant communities in core urban areas that, in confronting the threat of gentrification and displacement, created neighborhood sustainability plans to guide the trajectory of future development. These plans were made possible through multisector partnerships that brought together government agencies, community development corporations, design firms, and non-government organization intermediary entities that offered technical and funding support. Potential tensions and conflict arise when a community’s tactics are not aligned or are in direct opposition to the strategies created by broader institutional structures, such as a citywide sustainability plan. Strategies developed without genuine community input and consultation at the onset and throughout the process not only fail to recognize tactics that support implementation, but they can also undermine the original intent and efforts of these plans. Existing studies have noted that policies intended to achieve environmentally sustainable outcomes in the sense of reducing carbon emissions and improving the Earth’s biophysical and ecological conditions can backfire when they fail to gain cultural and social acceptance. This was particularly notable in the case of Mexico City in which a government-led strategy to reduce congestion and the number of cars driven resulted in more cars on the road as impacted communities used tactics to bypass this policy and buy more vehicles (Eskeland and Feyzioglu 1997). Similarly, the Dukakis Center for Urban and Regional Policy examined 42 neighborhoods in 12 metropolitan areas in the United States where transit-oriented development was put in place. The study found that the new infrastructure resulted in increased property values and the displacement of existing populations who relied more heavily on public transportation, and instead replaced them with higher-income residents who were more likely to own cars rather than utilize the transportation improvements (Pollack et al. 2010). As such, sustainability must be approached holistically in order to be effective. It must take into account existing relationships, practices, values, and practices that lead to social acceptance. Without a concerted effort to address the cultural norms that govern a community’s tactics of sustainability, a blind push for sustainability strategies in the ecological sense could undermine its intent and overall long-term effectiveness. Recent years have led to novel forms of grassroots resistance against the top-down strategy of sustainability. Community-led initiatives such as the Los Angeles Little Tokyo Cultural Ecodistrict Plan and San Francisco Sustainable Chinatown Plan challenge the dominant practices of sustainability as a one-size-fits-all paradigm. Instead, they argue for a holistic approach to sustainability in which social equity and cultural heritage are considered to be equally important elements of sustainable cities, along with the pillars of environmental quality and economic vitality. Specifically, these case studies address the experience of low-income and ethnic communities in core urban areas that, in confronting the threat of gentrification and displacement, created neighborhood sustainability plans to guide the trajectory of future development. These community-led plans relied on multisector partnerships that brought together the public sector, community development corporations, design firms, and technical assistance intermediaries. The historical context of Little Tokyo in Los Angeles and San Francisco Chinatown lends an important backdrop, as former tactics of resilience have evolved into current discourses and practices of sustainability. The two neighborhoods came to exist because of unique historical factors and immigration patterns. Their central locations made them important as places of economic and cultural refuge. Tactics of necessity and survival were of paramount importance, as many of its residents lived there to escape government policies that made it illegal to purchase land, own, or manage businesses anywhere else in the city outside Chinatown or Little Tokyo. In part, these communities owe their existence to self-preservation tactics in the face of broader institutional structures that were intended to annihilate the community (Choy 2012; Tsui 2009). Today, rising property values and development pressures in central urban areas have renewed the struggle for survival as long-term residents and businesses now face displacement. Citizens have become increasingly wary of city-initiated plans that channel investment into these neighborhoods under the overarching guise of sustainability. These plans have raised questions about the extent to which low-income and immigrant communities benefit from these practices or whether environmental policies primarily benefit those who are well-off (Fainstein 2010, 54). In response, non-profit community development corporations (CDCs) with strong existing ties in the neighborhood have responded to these conversations by leveraging decades of experience with land use, zoning, and community planning issues. CDCs have long advocated and led neighborhood-scale projects, such as streetscape design and open space plans that emphasize community-based planning and public participation. While the practice of community engagement is not necessarily new to them, CDCs are increasingly aligning their work with the tactics of sustainability as leverage for identifying community priorities and re-taking control of investment. In doing so, they challenge the one-size-fits-all sustainability paradigm and menu of prescriptive treatments, arguing that more can be done to include the community’s social and cultural values. These efforts recognize that sustainability is more than just a “green” and ecological concern, but that it is inherently grounded in cultural and behavioral considerations to gain social acceptance and therefore lead to long-lasting sustainable outcomes. The Little Tokyo neighborhood, located in downtown Los Angeles, has historically been home to a thriving Japanese-American community since the late 1800s. In 2012, the City of Los Angeles announced an effort to build the Little Tokyo/Arts District Regional Connector rail station, sparking fears of gentrification and displacement from rising property values as witnessed from transit-oriented development in other cities (Association of Bay Area Governments 2009). The Little Tokyo Service Center, a community development corporation founded in 1979, convened stakeholders to address these concerns through a long-term development vision. The initiators of the plan focused on answering the following question: “How do we achieve ‘just growth’ and grow in a sustainable, equitable and inclusive manner as we as a region target development around transit stations and transit corridors?” (Yee 2014). The ensuing Little Tokyo Cultural Ecodistrict plan embodies a sustainability plan that recognizes and elevates more than 130 years of Japanese-American heritage and the cultural values of the community. The plan grounds the concept of sustainability in community-identified values, including “mottainai“(what a shame to waste), “kodomono tameni” (for future generations), and “banbutsu” (interconnectedness), woven into a contemporary environmental context (Yee 2014). The Sustainable Chinatown Plan in San Francisco, California is another example of a neighborhood-led sustainability plan that is grounded in community values and priorities. In 2016, the San Francisco Department of Planning initiated the plan with the Chinatown Community Development Center, a non-profit CDC founded in 1977. Similar to the experience of Little Tokyo, the plan was spurred by concerns of gentrification and aimed to mitigate potential negative impacts of transit-oriented development with the incoming Central Subway light rail station. The plan focused on six areas: greening the public housing stock, acquiring and rehabilitating private housing, improving the public realm, upgrading district-level green infrastructure, tracking open data, and engaging community partnerships (SF Planning Department 2017). Second, these case studies offer a pathway for the reconciliation of community-led sustainability initiatives and citywide sustainability plans. This article is not calling for the elimination of broad-reaching efforts such as PlaNYC and Los Angeles Sustainable City pLAn in lieu of every neighborhood in the city advocating for their own piecemeal sustainability plan. Far from that, citywide plans have an opportunity to work in coordination with locally initiated efforts at the neighborhood scale. A citywide plan is still needed, particularly as it can provide funding and offer coordination across city agencies. These plans, however, should complement the bottom-up will of communities that are seeking to define sustainability on their own terms. A citywide plan is still needed to assist with implementation and to coordinate across multiple community-led plans, but the needs and priorities should come from the community that will be impacted by these strategies. In this way, cultural tactics of sustainability can be leveraged to support citywide strategies and provide the means for tackling ecological sustainability. To achieve sustainable cities, policymakers should lead with the intent of asking “sustainable cities for whom.” The Los Angeles Little Tokyo Cultural Ecodistrict Plan and San Francisco Sustainable Chinatown Plan serve as two tangible case studies in which neighborhoods can develop plans that define and evaluate sustainability from a holistic perspective. Both initiatives emphasized flexible, bottom-up, inclusive and participatory planning and design processes, whereby elevating cultural considerations became a means to achieving ecological sustainability. Future work to develop sustainability plans in AAPI communities and in local communities more generally could be served well by acknowledging and leveraging local context such that the proposed solutions resonate with community members and ensure its long-term sustainability. The author would like to thank Thomas Yee and Cindy Wu for productive conversations that have greatly informed this article. All thoughts expressed in this article belong to the author. Deland Chan teaches urban planning and design thinking in the Program on Urban Studies and d.school at at Stanford University. She has over a decade of experience working in the field of urban studies and sustainability. She is passionate about making cities accessible and sustainable for diverse communities and advancing inclusive perspectives in the practice and research of cities. Prior to Stanford, Deland worked as a Senior Planner at a community development corporation in San Francisco with a focus on transportation and land use planning. Her work resulted in capital improvements for a streetscape project, a pedestrian master plan for the Chinatown neighborhood, and a community-based urban planning youth training program. Deland holds a B.A with honors in Urban Studies and a M.A. in Sociology from Stanford University, and a Master in City Planning from UC Berkeley. She is a member of the American Institute of Certified Planners and is a LEED Accredited Professional. She is currently pursuing a PhD in Sustainable Urban Development at the University of Oxford as a Clarendon Scholar. Agyeman, J. (2013). Introducing just sustainabilities: Policy, planning, and practice. London, England: Zed Books Ltd.
Agyeman, J., Bullard, R. D., & Evans, B. (Eds.). (2003). Just sustainabilities: Development in an unequal world. London, England: Earthscan Publications Ltd.
Angotti, T. (2008). “Is New York’s sustainability plan sustainable?”, presented at the Joint Conference of the Association of Collegiate Schools of Planning and Association of European Schools of Planning (ACSP/AESOP), Chicago, 2008. Brundtland, G. H. (1987). Our Common Future: The World Commission on Environment and Development. Oxford, England: Oxford University Press. Choy, P. (2012). 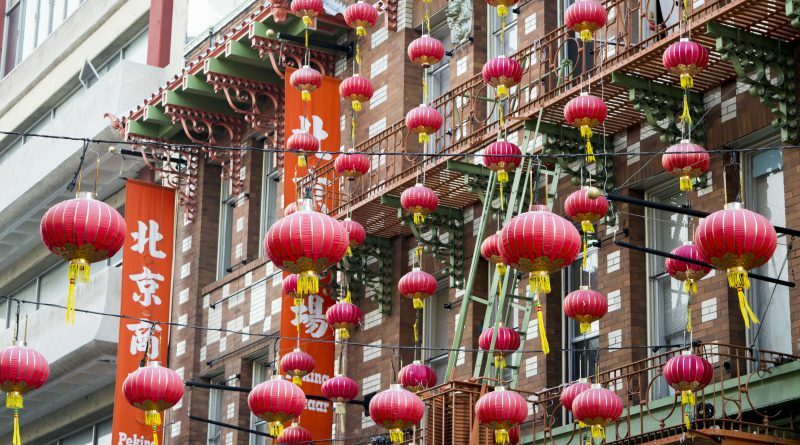 San Francisco Chinatown: A guide to its history and architecture. City Lights Publishers. Colantonio, A. (2010). Urban social sustainability themes and assessment methods. Proceedings of the Institution of Civil Engineers-Urban Design and Planning, 163(2), 79-88. De Certeau, M. (1984). The practice of everyday life (S. Rendall, Trans.). Berkeley, CA: University of California Press. Elkington, J. (1997). Cannibals with forks: The triple bottom line of sustainability. Oxford: Capstone. Eskeland, G. S., & Feyzioglu, T. (1997). “Rationing can backfire: the “day without a car” in Mexico City.” The World Bank Economic Review, 11(3), 383-408. Fainstein, S. S. (2010). The just city. Ithaca, NY: Cornell University Press. Hawkes, J. (2001). The fourth pillar of sustainability: culture’s essential role in public planning. Melbourne, Australia: Common Ground. ICLEI Local Governments for Sustainability. (2009). “U.S. Local Sustainability Plans and Climate Action Plans.” Retrieved from http://cityofithaca.org/DocumentCenter/View/1643. Marcuse, P. (1998). “Sustainability is not enough.” Environment and Urbanization, 10(2), 103-112. Pollack, S., Bluestone, B., & Billingham, C. (2010). Maintaining diversity in America’s transit-rich neighborhoods: tools for equitable neighborhood change. Dukakis Center for Urban and Regional Policy. Sandercock, L. (1998) Towards Cosmopolis: Planning for Multicultural Cities. Chichester, England: John Wiley & Sons. Tsui, B. (2009). American Chinatown: A people’s history of five neighborhoods. New York, NY: Free Press.